The life of Lula Mae Jackson Ingram began on September 19, 1948 when she was born to the parentage of Gladys Redding and the late Sam Jackson. She attended the public schools of Houston County and graduated from Perry High School in Perry, Georgia. In 1967 Lula met a man, Robert Lee Ingram who would become her life companion. Lula loved her family and was a great caregiver to many both young and elderly during her lifetime. She was a stay-at-home mother and grandmother. Lula was a great cook and was known by many for her open arms and caring heart. She was preceded in death by her father Sam Jackson and son Jesse Willie Ingram. Lula leaves to cherish her memories: husband Robert Lee Ingram, mother Gladys Redding both of Perry, Georgia; sons Robert Eugene Ingram, Jarvis (Airian) Ingram both of Perry, Georgia and Thoney (Cecilia) Ingram of Milledgeville, Georgia; daughters Shirlette (Demetrious) Ingram and Mary Ingram, and Temper Ingram all of Perry, Georgia; sisters Amy (Murray) Bawn, Pamela (Ed) Cole, and Sharron Redding; brothers James Jackson, Jeffrey Redding, Cleveland (Sandy) Jackson, Tommy (Franis) Jackson. 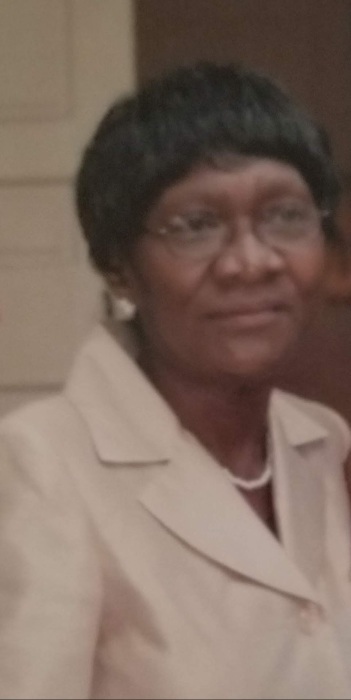 She also leaves behind a devoted sister Doretha Curry, a devoted granddaughter Jameshion (Lionel) Ingram, a devoted niece Gladys Redding, and a host of grandchildren, great grands, other relatives and sorrowing friends.